OMG, what was he thinking? No idea if this butchered GTM Spyder is worth saving. Are the mods reversible or is the moncoque damaged beyond repair? I am not brave enough to buy such a project, but if all original Spyder parts are still there (and registration), selling the Audi engine and other stuff may be sufficient for funding the repair of this car. Who dares? Last edited by corby on Thu Nov 22, 2018 10:32 am, edited 1 time in total. I just read in another thread that the clamshells were sold years ago. So this car is basically scrap. I think butchered is a bit harsh. I was following this conversion a few years ago and was sorry to see it appear to fizzle out. This ad would appear to confirm that it won't be finished by Mr Clare at least. It is certainly a brave project but I'd say far from scrap with the bits that have been sourced and fabricated. Getting new bespoke bodywork made won't be cheap but assuming the work that has been done is sound (and I've no reason to suspect not based on the build diary) when finished this would be an epic car. I'm not brave enough and don't have the skills or time to finish it but I wish I did! Have you been to see it? Looked at the quality of work carried out? Perhaps until you have you should keep you ill informed views to yourself. Having seen it myself and knowing Dave and some of the other people who have contributed to the project I can say it's a well engineered conversion. A big project yes, but not beyond the realms of someone with the time and GRP skills to finish. I would say the hard work is done and just needs bodywork and paint Well maybe a few other bits too!! Okay okay, to me personally cutting up an ultrarare GRP monocoque Spyder like this is butchering, but if you think it's just modded, I'll change it to heavily modded. Although I think the GTM dashboard is one of the prettiest around and changing that to a bog standard boring Audi dash is just beyond me. And I don't see the beauty of this project. It doesn't have any finesse, it's like killing a fly with a sledgehammer. Have you seen where the rear wheels sit? The whole shape of the car is totally destroyed, this thing will need huge fenders which will look totally odd. As comparison a project well done was the yellow Libra with 1.8 Audi turbo engine and DSG gearbox. Heavy modded as well, but you couldn't tell from the outside. Extremely clever car that was sold to a German for 40K euro! I know the Yellow car well. It was beautifully built by Bertram. A standard build pretty much using a V6 tub to fit the Audi engine. The Later fitting of the DSG box was very clever as it had never been done before to that particular engine. I don't really get your outrage at someone modifying a kit car. The Spyder is not especially rare in kit car terms and is a poor relation to the Libra anyway Dave did it for his own amusement and did it well, I appreciate it's not your bag, but having seen the model he has made of the bodywork he intended to build I have to say it would have been an improvement on the original. I am slightly angry because composite monocoque cars are a rare breed and among the smartest in car engineering. I doubt there is any kitcar maker today that can build cars like these. No wonder Westfield is redesigning the Libra and Spyder with a tubular frame. GTM was the very best in building these cars, although the original Midas factory in Corby was even better (hence my forumname ). GTM just built 35 Spyders, that's extremely rare, even for kitcars. If it was a car that had been in an accident, that would be perfectly fine for experimenting. But cutting up a good roadworthy car is beyond me. Making large holes in such a monocoque usually means it can no longer be considered roadworthy and would need a new IVA. The chance of this car not being finished is 90% and if there is an extremely talented person who can (a sort of the late Richard Brabbins I suppose, the man that built the Brabini GT), the car probably will look like Frankenstein. 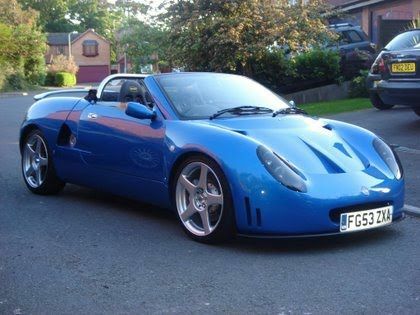 I consider the Libra and Spyder Richard Oakes finest designs, very hard to beat. And last but not least, the question is why? 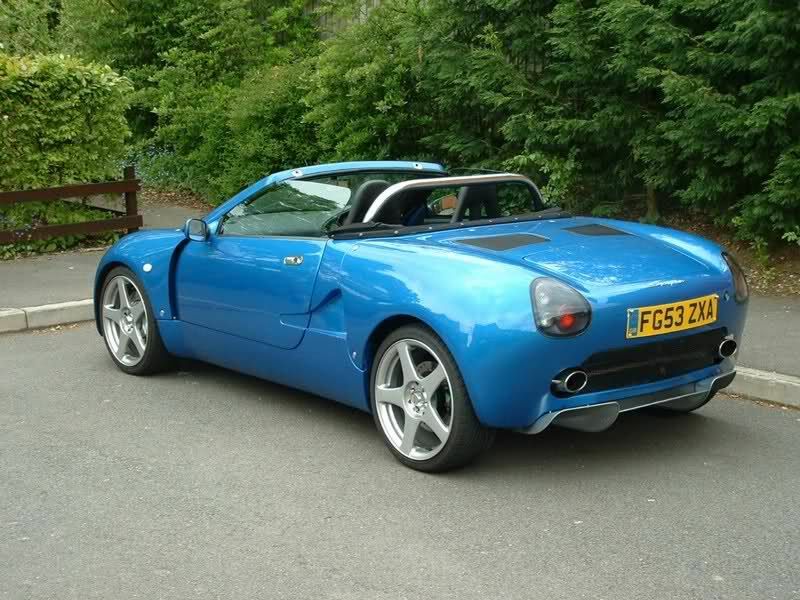 The GTM Spyder was worth between 7 and 9K. Probably 10K spent on parts. To finish it another 10K, not to mention hundreds of manhours. And with what result? If the builder wanted a supercar, for that money he could have built an Ultima or get a secondhand Lotus Elise/Esprit with enough money left to put a turbo/supercharger in it or whatever. But let's see if someone is going to prove me wrong. I really hope someone does finish it off. I accept that there aren't many people with the skills and vision/passion to finish off another's project but unfinished projects aren't that unusual and people do buy them and finish them. I'm worried someone might buy it for the bits and another Spyder (and all of that wonderful bespoke fabrication) will be lost to the world as there are some really tasty bits there. We mustn't forget that the reason we drive kit cars rather than anything factory built is that we like to be a bit different and some people want to take that even further. If you don't like the concept of rare and beautiful kit cars being substantially modified you'd better not look at the Raffo Belva project that a friend in my other club is working on! I think there were only 7 Belva's so compared with the 40 Spyders the Spyder isn't rare at all! It's within my budget, but not without the missing clamshells and possibly interior parts. The best thing I would do is (if it still has all paperwork), demodify it. Selling the audi engine and other bits as the brakes etc. probably would raise enough money for buying the Rover stuff. (Maybe kill a Rover Metro for it). But it depends on the damage to the monocoque. It looks like the whole front footwell has been cut out. Given that the base is a Lotus Esprit chassis fitted with an Audi engine & gearbox, I would suggest that the tub is purely cosmetic and not structural in any form. I doubt if it could be redone to become a standard Spyder again! Granted the Spyder is rare, but. the engineering to get the car to this stage is admirable and I, as an engineer take my hat off to the builder for his vision and ingenuity, with no problems with what he has done - I tried to do something similar years ago with an Alfa Romeo Giulia Coupe and a TVR Chimera chassis but couldn’t complete due to work and life factors. Hopefully someone with the skills and drive will buy it and finish to a high standard, as it will be an absolute hoot to drive. I don't see why it would require IVA as the monocoque hasn't been altered. All the rear is connected to exisiting mounting points and I'm pretty sure the front subframe is attached via a spine and attached to the front of the monocoque. I think there is a point where substantial modifications mean an IVA is required but this is clearly a grey area. Some of the re-body kits based on MX5's and Z3's are sold on the basis that as they keep the main frame and underpinnings of the original car then no IVA is required but looking at how much metal is cut away on some of them I'm surprised they don't. My friend is planning to get a new IVA done on his Raffo when finished. He could argue that he's used a complete chassis (from a Sylva) that had a valid V5 and a fair proportion of the Raffo, that also had a valid V5 so could have opted to choose either registration and just get it MOT'd but his view is that a new IVA is worth the hassle to prove it is roadworthy and totally re-born as a separate car in its own right. My personal opinion is that the Big Lairy Spyder comes into that bracket but that is very much down to interpretation. Corby - I'm with you on the dash though - much prefer the GTM one over the Audi. I totally don't feel anything like excitement watching the ad, just sadness over this wounded car. Mind you the original car had a few interesting changes. Esspecially at the back, an Elise undertray was beautifully integrated. Very interesting to know if this improved the high speed handling. Also an improvement were the double exhausts, never liked the look of the central placed exhaust. Does give me a certain association.